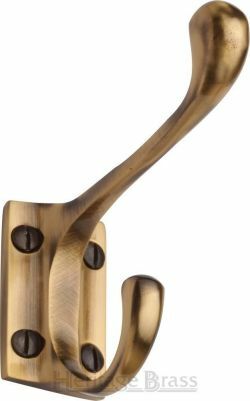 A traditional style solid brass hat and coat hook on a strong and sturdy rectangular shaped backplate. Projection 86mm. Available in Polished Brass, Antique Brass, Satin Brass, Polished Chrome, Satin Chrome, Satin Nickel & Polished Nickel.